This unit is for the Duck fan enthusiast. 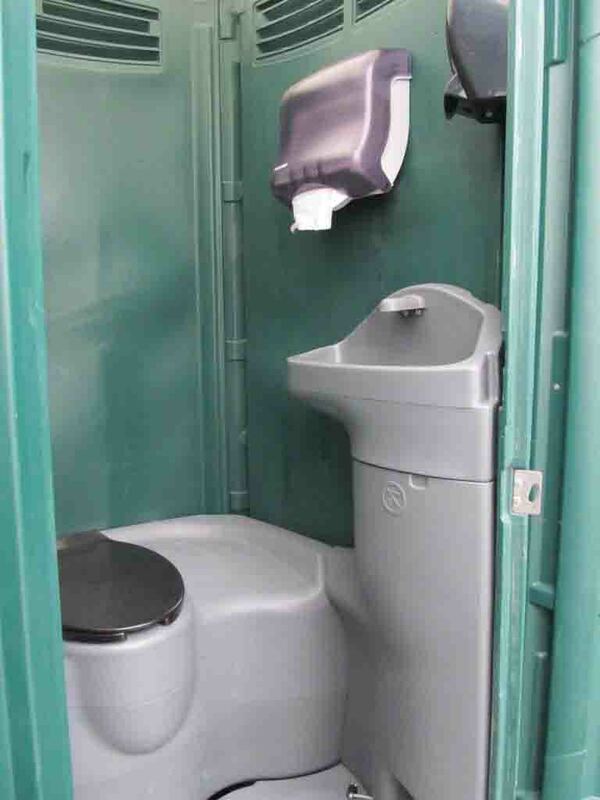 Obviously, it is the perfect tailgating restroom – but think outside the “box”. 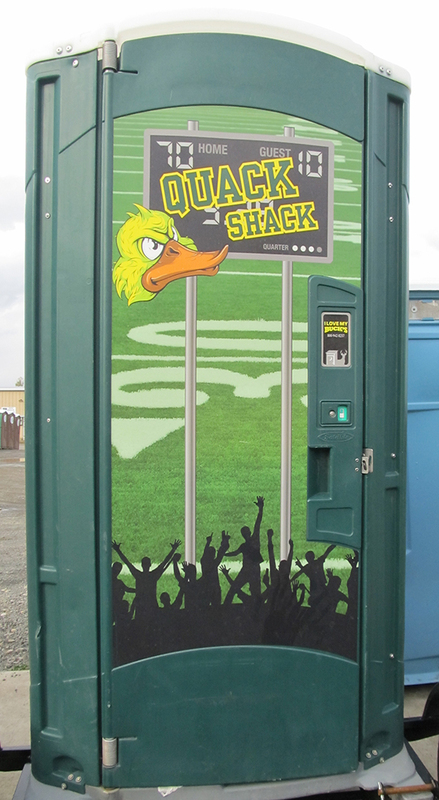 Use a Quack Shack at birthday parties, weddings, barbecues – anywhere you have a gathering of avid Duck fans. These units have a sink inside and they are furnished with soap and paper towels as well as an instant hand sanitizer. They have a “no touch” tank, which the ladies in the group will appreciate. Instead of hiding the porta potty in the corner of the yard, consider this part of the decor! 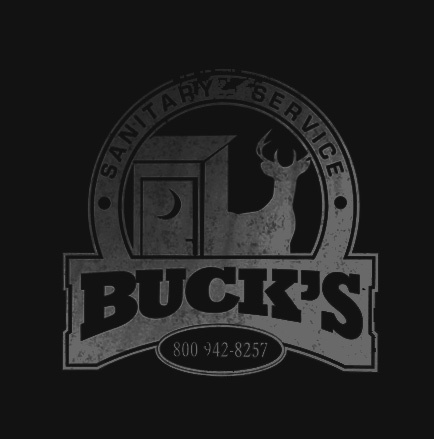 I LOVE MY BUCKS! See the Quack Shack featured on this video at 1:40!